When we started planning 50 in five and discussed where to visit in Hawaii, we both instantly agreed on Maui. DB visited there with her cousins right after high school and 9eя had never been. Months ago, Niner pulled up a map of Maui and came up with the idea of driving around the entire circumference of it. When we shared our plans with our friends Marvin and Marc they informed us that the car rental companies prohibit their vehicles from driving on certain parts of the highways. Good to know! Here is an image of the map that outlines the prohibited areas. Our visit started off in Kahului, the area where the airport is located. It is a developing area with an interesting mix of island charm and mainland commerce. Our first stop after picking up our rental car was a very new Target for some food, snacks, and water. Then we tracked down a food truck that Marc’s friend recommended. The Geste Shrimp truck was the perfect aloha for our tastebuds. We shared their signature garlic shrimp plate. Next, we decided to hit up Kanaha beach where we watched kite surfers and fell asleep under some shady trees. Then it was time to check into our first hostel of our trip. Northshore Hostel is located in a quiet neighborhood with plenty of free parking. We got to our tiny private room and relaxed for a bit. We then decided to spoil our dinner and we got some shaved ice at Ululani’s Shaved Ice. It was good, but rather unremarkable. It was not what we expected considering how popular the place is. Next we visited Waiehu to catch the sunset. It sprinkled a bit and it was very cloudy. We sat there and listened to the waves and watched the goofy sand crabs do their thing. We made our way back to the hostel and Niner prepped our dinner we picked up from Target: ramen and a bagged salad. Pinterest is full of beautiful pictures and tip lists but unfortunately that did not properly equip us for the ride as signs along the way are rare. Even though it did not go according to our Pinterest list, it was an awesome experience. Hookipa beach lookout was our first stop and our briefest. There were a few vendors with handmade crafts and a small fruit stand. The view of the ocean was nice, but nothing extraordinary. We saw signs for the town of Haiku and decided to see what we could find there. It was too early (at least by island standards) and nothing was open yet. We made a stop at their beautiful spiritual center and took some pictures there. Twin Falls was one of the only Pinterest stops we were able to find easily. The hike to the actual “twin falls” was not much of a hike, more like a stroll and the falls themselves were puny. Then we found a gate which had a warning sign describing a challenging trail. We walked back to our car, geared up for a real hike, and it was just that! At the end of the slippery, wet trail was a tropical waterfall and pool. 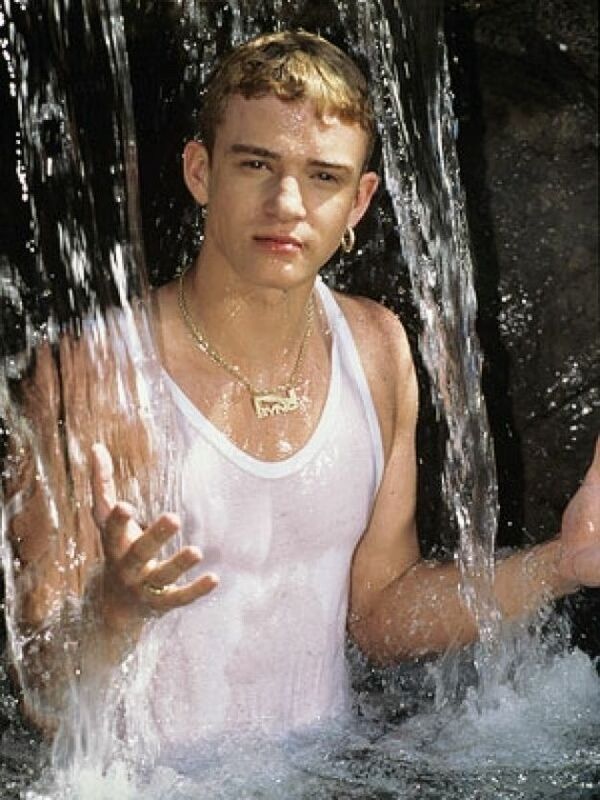 Niner had always joked about having a waterfall wash over her like in the cheesy celebrity photo shoots of the 90s. She attempted to do that but the water was too cold and the water from the fall was too fast and painful. Even though Niner could not make her waterfall photo-shoot dreams come true, it was an amazing hike that was full of tropical plants. When we arrived at the highway we treated ourselves to a fresh delicious pineapple smoothie at the cart out front. The next stop was the Keanae peninsula to see the lava rock beaches. The water was so blue there! After that, we got a snack and DB got herself a loaf of banana bread that lasted her the rest of the trip. Next, we did a hike that Niner is not proud of discussing. Why? Because, we apparently trespassed to do it. Well, at least we were not alone… We saw more than a dozen people along the trail doing the same thing. The hike to Wailuaiki falls started off on a wide dirt road that was muddy from the light sprinkling that was going on. We walked through tropical trees and made it to a trail that hugged a hillside. The path became rather rocky and wet as we approached the pool. The falls were very pretty and we saw several folks swimming in the pool. Pua’a Kaa way station was a fairly crowded stop. Our guess is because it had public restrooms with flush toilets. The falls there are very easy to get to and the pools were filled with families. We then checked into our cabin at Wai’anapanapa State Park and headed out to get some much needed grub. Since it was late, our dining options were limited. We ended up having dinner at Hana Ranch. We do not recommend that place: small portions, slow service, and seriously overpriced! We got back to the cabin just in time; it started raining. It was a pretty serious downpour and it came down all night. The next day we checked out of our cabin and made the 1 minute drive to the other side of the state park to visit the black sand beach. The sand is black because it is made of eroded lava rocks. Then we had lunch at Braddah Hutts food truck. DB had the kaluah pork and Niner had the BBQ chicken. We were both impressed with the portion sizes and the food! We then hit the road and made a stop at Paihi falls. It is right on the road and the falls face a bridge. We have to say that this was our favorite waterfall of our visit to Hawaii. Then we got to the Kipahulu entrance at Haleakala National Park. We hiked the Pīpīwai trail into the bamboo forest and made it to Waimoku Falls. We went back to our car and finished up our left over lunches then did the short path to the 7 sacred pools. Unfortunately, this was not a sacred experience for us. With the heavy rains from the night before, the pools were muddy and were closed for wading and swimming. After that, it was time to call it a day. We headed to our next cabin at the state park and cooked up a quick dinner and went to bed. And it rained all night – again! We were planning on camping the next day and the forecast called for rain as well! In our next blog post, find out what happened next in rainy Maui!